GG and I had thought it would be nice to head out to dinner with his parents on Saturday night and we’d heard of a restaurant down near their place called the Hunter’s Lodge. A fellow from his work had heard good things about said lodge so we made a few calls, lined up a booking and before we knew it we were dodging the rain and driving waaaaaay down the freeway to Armadale. It was a little hard to find on the dark and almost wintery night but we managed to arrive safely and drove into the car park and walked quickly inside. It was really quaint looking, I almost felt like I was heading over to someone’s house for tea! It was equally lovely inside – very welcoming. White linen table clothes and linen napkins. The seats were plush, really well cushioned, we were all delightfully comfy! We were all brought out glasses of water by the friendly waitresses, as well as a wine list and menus. There was a good range of choices both on the entrees and mains front, plus a few specials available. 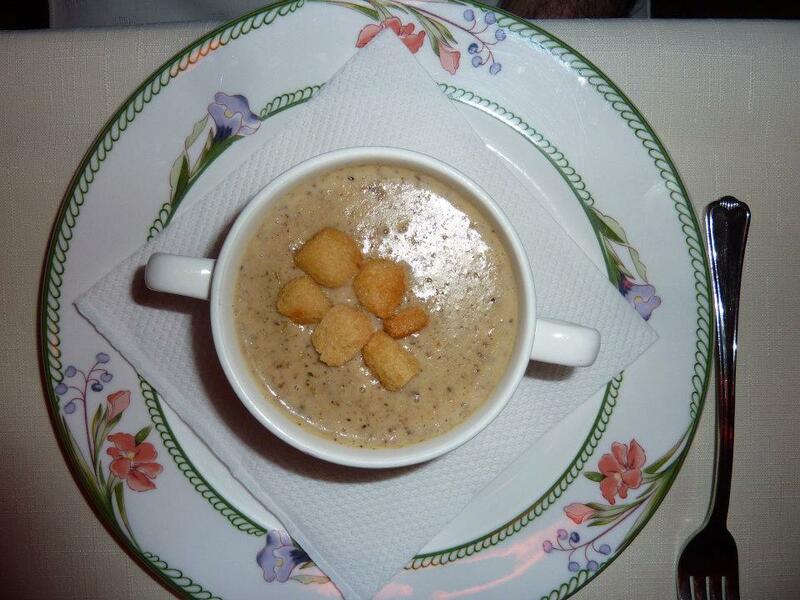 Given the wet weather outside, a popular choice for 3 of our group was the Soup of the Day ($11.50) which was fresh mushroom. I was the odd one out but GG let me try a spoonful of his and it was just bursting with a beautiful rich mushroom flavour and a lovely creamy finish. Very nice and definitely perfect for the weather. I’m a big soup fan, from way back. Now what got my attention away from the soup? 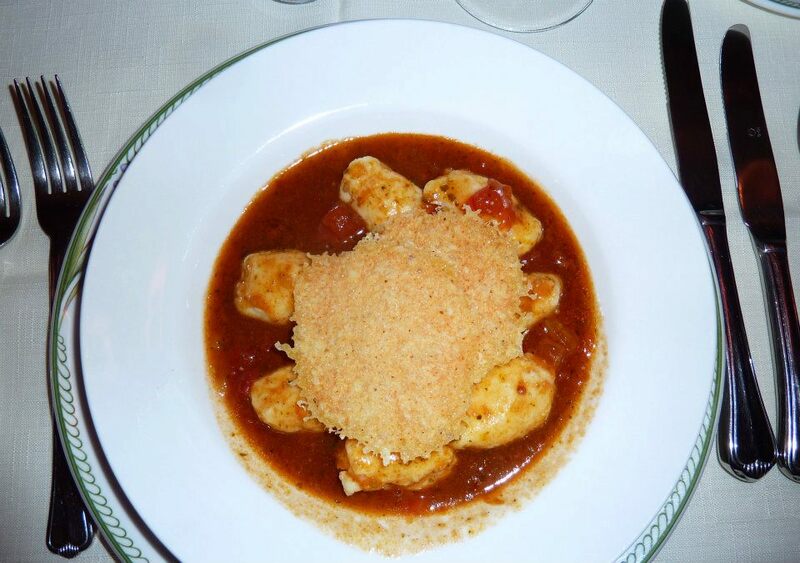 One of my favourites was on the menu – Home made gnocchi with a Tomato and Basil Sauce and Parmesan Crisps ($16.50). I’ve always been a big gnocchi fan, all the more after learning how to make it (visit The Cooking Professor for details of their gnocchi class, if keen to learn the tricks of the trade) and I had high hopes that their home made gnocchi would be wonderfully soft and pillowy parcels. My first thought on receiving my plate was that the parmesan crisp was perhaps on the crazy huge size, but I’m a big cheese fan and I just had to make sure that my gnocchi, sauce, cheese crisp ratio was well balanced. The gnocchi itself was really lovely – very soft and light, as I had hoped and the tomato sauce too was very tasty. I really enjoyed my entrée and had high hopes for my main. So…. Mains. Now I’ll note here that there was some sort of ‘mix up’ in the kitchen and there would have been half an hour minimum from finishing our entrees to when our mains arrived….. and I suspect 30 minutes was under shooting the actual time, it was probably closer to 45 or so. But look the staff came out and explained the error, assured us that our meals would be the next out and that really makes a lot of difference to me, when they just let you know what’s happened. And we were all sat chatting so it wasn’t too much of a bother. 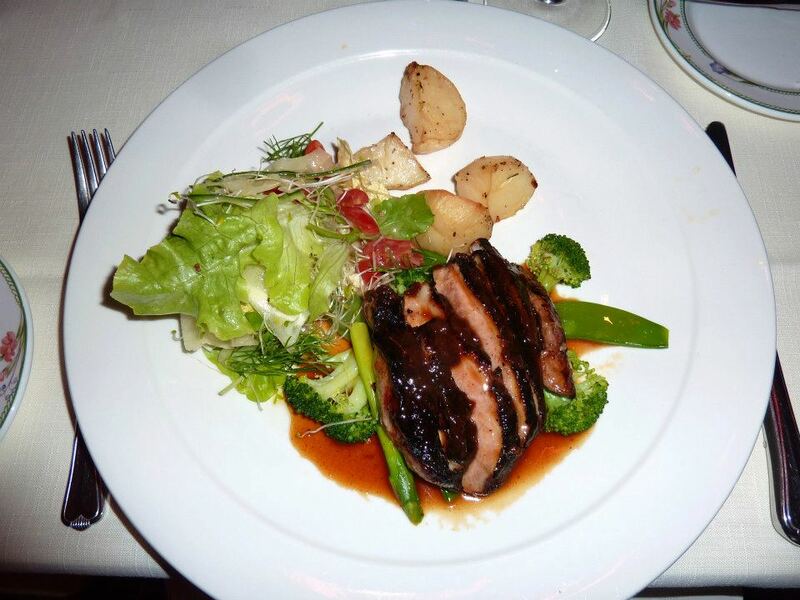 Now two of us, myself and GG’s dad, had gone with the Magret Duck steak with a Tamarind glaze and an Orange and Grand Marnier sauce ($35.50). Looking around the table there was a definite similarity between meals. Each had the same serve of steamed vegetables and roasted potatoes and the chosen meat was placed on top of a zucchini and tomato ragout. The key difference for our duck dish was that we were also given a side salad. Now the duck itself was nice. A pleasantly sweet orange sauce coated the perfectly pink duck breast and I found it to be a decent sized serving. The vegies all had a nice amount of crunch and it was agreed that the roast potatoes were just fabulous. Crunchy on the outside with soft, fluffy spud inside. Very nice. The salad was fine, but on a colder night when I already had hot vegies, I could have taken or left it. I took about half as it was. Thought I should at least give it a go. It did have a really interesting ginger infused dressing which I liked. In all, it wasn’t a bad meal. 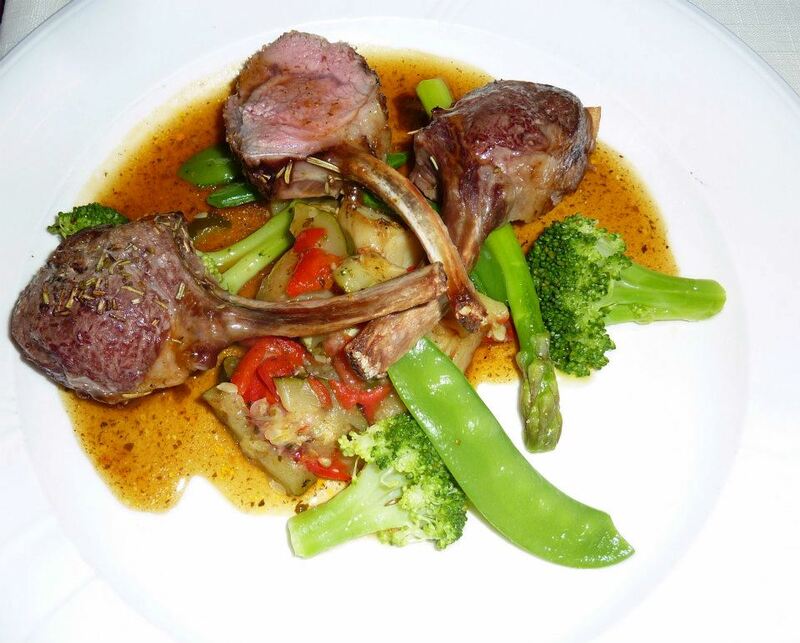 A quick mention of the other mains….. GG’s mum had opted for the Carved rack of lamb with Mint Jus and fresh vegetables ($36.00). From all accounts the pink little cutlets were very delicious. Now when GG’s meal had arrived my first thought was that the meat looked horrendously dry. Beef Fillet served en croute with Mousse de Foie and a Bourguignon sauce ($39.50). I was pleasantly surprised when he told me it was actually quite good, which I concurred with when I had a bite. It was quite tender inside. We’d seen a few desserts being brought out while we’d eaten our other courses and the Clouds of meringue with lemon sauce ($12.50) had me intrigued so I ordered that. 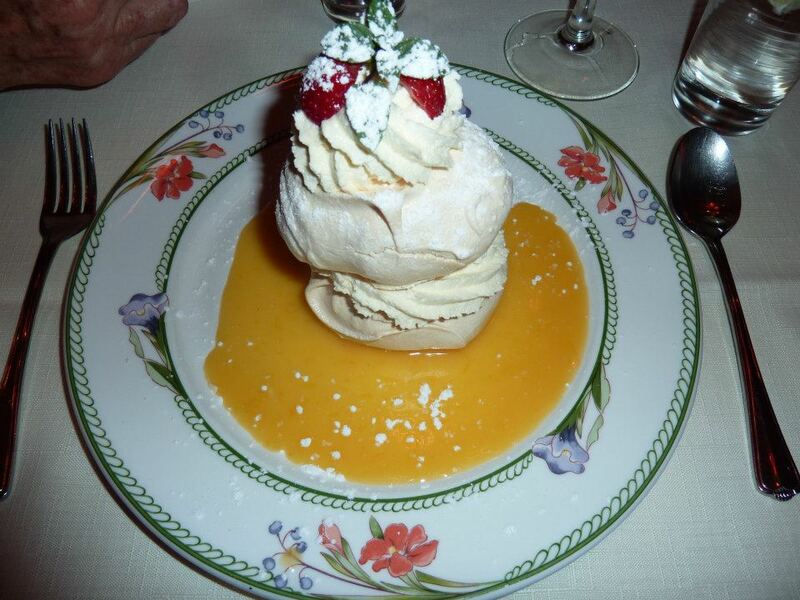 It really was a tower of meringue and cream floating in a pool of lemony sauce. I’m not really sure what I had been expecting, but I couldn’t get through it. The meringue, while delicious, was just so sweet, more so with the addition of cream, so I managed to get through one layer with some of the sauce and had to tap. Me!!! Tap out of dessert!!! I hope the absurdity of this can be appreciated. I’m a massive dessert lover, but this was too much for me. What is the world coming to?? 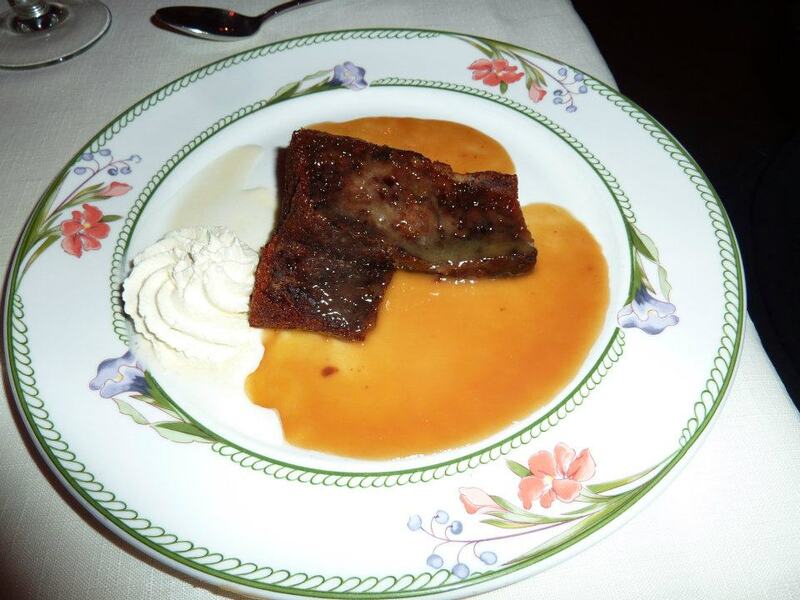 GG and his dad stuck with a more modest serving of the Warm Toffee and Date Pudding with Caramel Sauce ($13.50). It looked a little uninspiring to me. I think I would have preferred a small scoop of icecream with it instead of cream, just to jazz it up, and the slices of date pudding could perhaps been a little thicker…. But I am told that it was very tasty. So we’d had a nice time at Hunter’s Lodge. There was something cosy about being there with the rain pitter pattering outside. 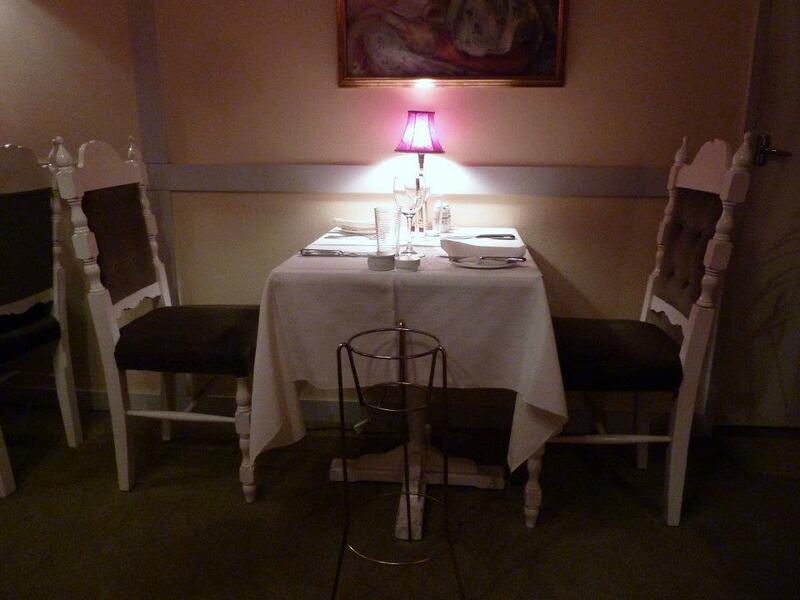 Despite the timing issues with our meals, the staff had been very friendly and attentive. Pricing wise, GG had commented that he thought the mains could have been moderately cheaper, which I thought was a fair comment. In all though it had been pleasant and for an option when we went to visit GG’s folks, it was a good one. Hi! Next time out this way maybe head up to Roley’s on the Ridge. 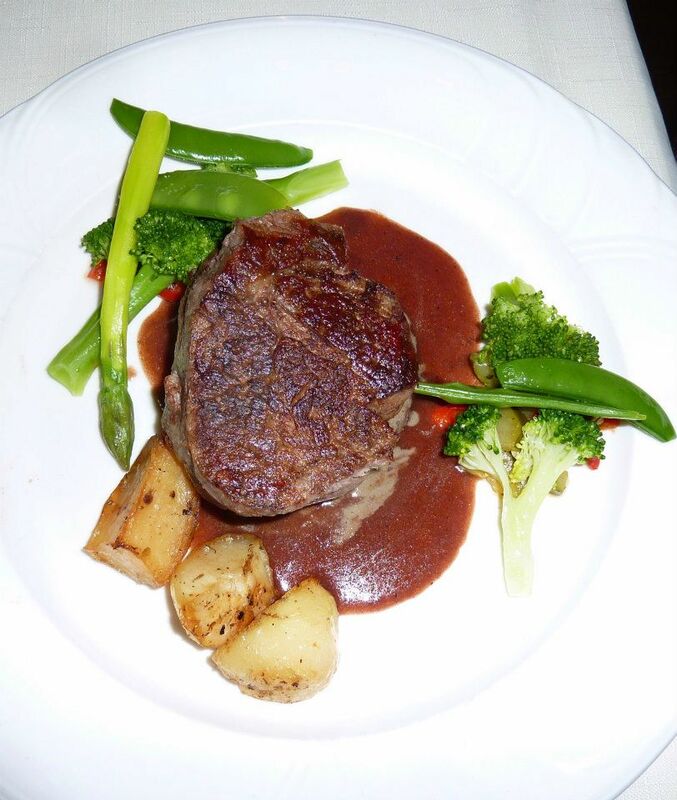 We find their meals to be some of the best in Perth and reasonable $ too.